Vinícius during a match this season. The Frenchman returned to the bench on March 11, having resigned on May 31, 2018, though Vinicius’ injury has meant that he has not yet featured during Zidane‘s second reign at the club. 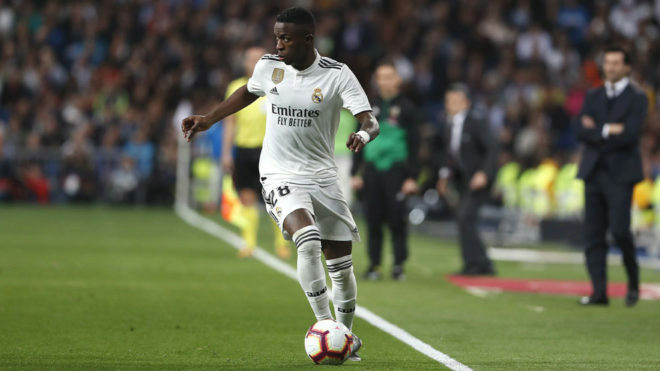 Much has been discussed in relation to Madrid‘s disappointing season, but Vinicius is confident that they will recover ahead of the 2019/20 campaign. Vinicius was asked to present Brazil’s new shirt ahead of the Copa America in the summer, which will be held in Brazil, yet the forward is unsure if he will be included in Tite‘s squad due to his recent injury.